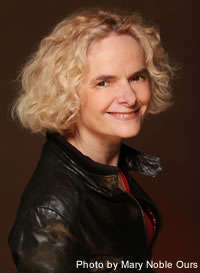 Dr. Volkow has published more than 680 peer-reviewed articles and written more than 100 book chapters and non-peer-reviewed manuscripts, and has also edited four books on neuroimaging for mental and addictive disorders. During her professional career, Dr. Volkow has been the recipient of multiple awards. In 2013, she was a Samuel J. Heyman Service to America Medal (Sammies) finalist and was inducted into the Children and Adults with Attention-Deficit/Hyperactivity Disorder (CHADD) Hall of Fame. She was elected to membership in the Institute of Medicine in the National Academy of Sciences, received the International Prize from the French Institute of Health and Medical Research for her pioneering work in brain imaging and addiction science, and was awarded the Carnegie Prize in Mind and Brain Sciences from Carnegie Mellon University. She has been named one of Time magazine’s “Top 100 People Who Shape Our World”, “One of the 20 People to Watch” by Newsweek magazine, Washingtonian magazine’s “100 Most Powerful Women” in both 2015 and 2017, “Innovator of the Year” by U.S. News & World Report, and one of “34 Leaders Who Are Changing Health Care” by Fortune magazine. Dr. Volkow was the subject of a 2012 profile piece by CBS’s 60 Minutes and was a featured speaker at TEDMED 2014.